Protrain: ECPM e-Learning Portal - Please let me know the mode of payment? We encourage you to ask questions and clarify your doubts prior to subscribing to the courses. You may search your answer in our query database or may ask a new question. 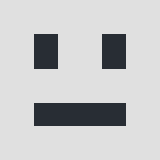 Could not compile stylesheet for flatt. Using last compiled stylesheet. Please let me know the mode of payment? You can subscribe to the course online using Paypal or through payment transfer in our account. Complete help on how subscribe to course online using Paypal is available on this pagehttp://ptra.in/15EcByN. You may visit to page http://ptra.in/1aDVISS to understand how to use coupon code. What do I receive when I make payment ? Is it be possible to access online recorded video lectures any time round the clock? What are the things needed to do before access the full training module? 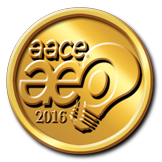 We are Approved Education provider of AACE International. This forum are meant for Website Use Help and Pre-Sales Queries only, and managed by our Marketing and Sales team. For course discussions use Study Groups. Protrain is Engineering, Construction and Project Management (ECPM) e-Learning portal. Copyright © 2015. Protrain.com. All rights reserved. "PMP," "PMBOK," "CAPM," "PM Network," "PMI-RMP," "PMI," "PMI-ACP," and "PMI Agile Certified Practitioner (PMI-ACP)" are trademarks of the Project Management Institute, Inc.
AACE® is registered trademark of ‘Association of Advancement of Cost Engineering (AACE) International’, Morgantown, WV, USA. Certified Cost Professional (CCP) are trademarks of AACE International.